Amaia in the toy buggy, a photo by PhylB on Flickr. 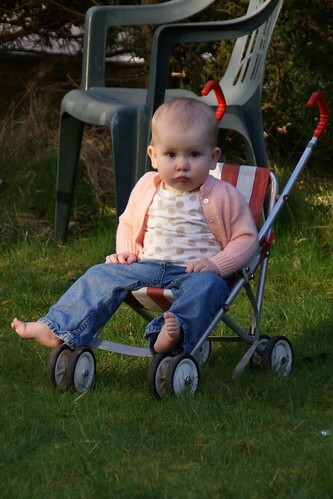 Léon and Anna have a little buggy they use when they are playing in the garden with dolls and teddies. Today I discovered I could climb into it and use it as a very comfy seat. Perfect!